The skilled trade job market continues to be faced with difficult challenges. In particular, HVAC talent is scarce: mid-level HVAC jobs typically take 12% longer to fill than all other middle-skill jobs nationwide. Because Reitmeier is committed to Leading the Way in everything we do, we decided to take action to prevent this shortage from impacting our industry, our company, and our clients. 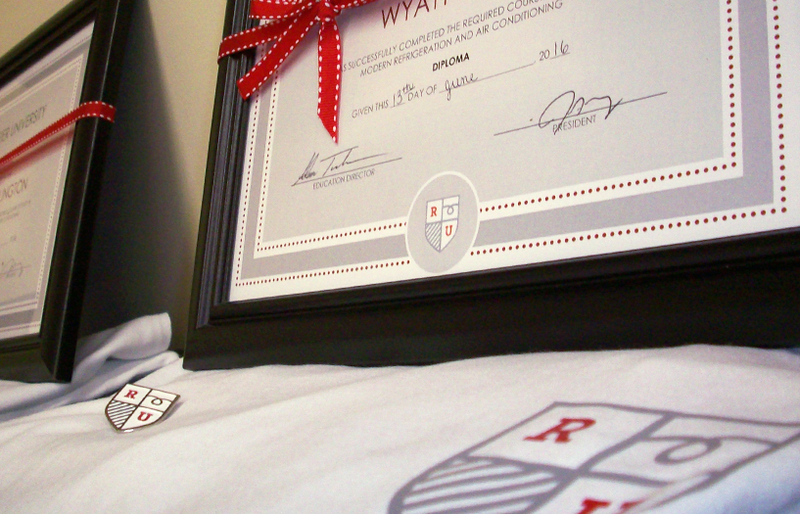 In 2014, we launched our own innovative continuing education program, Reitmeier University. Our comprehensive curriculum is designed to develop institutional knowledge while also orienting team members to the Reitmeier way and culture. The risk of implementing an unprecedented practice paid off: we’re proud to introduce our first graduating Reitmeier University class! Instructor Adam Tucker started his career at the Northwest College of Construction teaching for Oregon’s apprenticeship program. With his experience mentoring younger generations, he has a deep understanding of how Reitmeier University can best serve new employees in the field. The format of the classes and the opportunities the curriculum presented resonated with students as well. 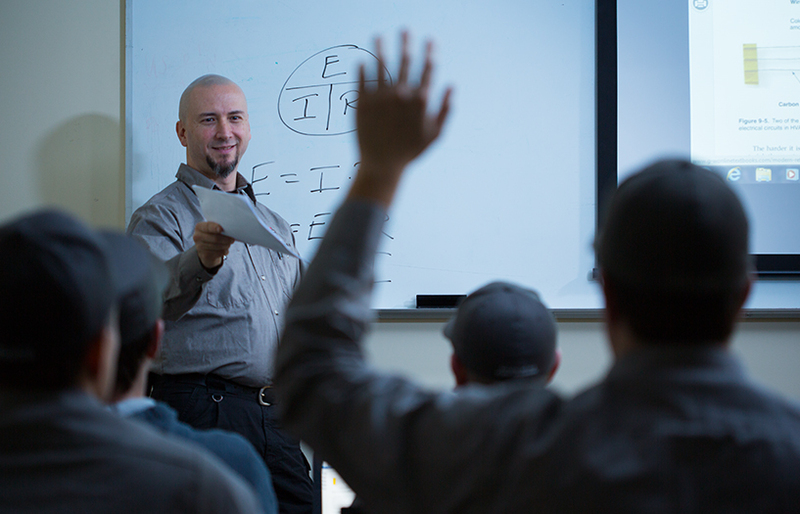 A major benefit of Reitmeier University is the opportunity for new employees to learn about HVAC issues they are likely to face in real-world situations. Each Reitmeier University class meets weekly over the course of the two-year program – topics range from softer skills, such as learning the Reitmeier Way, to an introduction to heating and air conditioning, to more complex lessons like commercial refrigeration. The classes also present our new Reitmeier employees with opportunities to collaborate, something graduate Sergey appreciates. In addition to a traditional classroom education and online curriculum, we also partner each new Reitmeier hire with an experienced Senior Level Technician. This skilled individual guides them in the field, showing them the best ways to tackle real-world HVAC issues. Reitmeier University students also note how this style of learning can bring Reitmeier employees together. 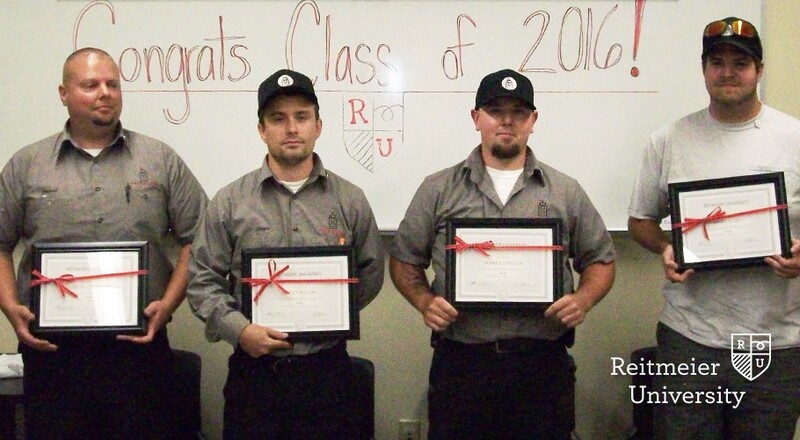 While strengthening the skills of our technicians benefits Reitmeier and our clients, our recent Reitmeier University graduates express gratitude for the impact the program has had on their career paths. 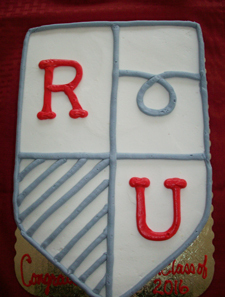 Would the graduates recommend Reitmeier University to others considering the HVAC trade? Absolutely. 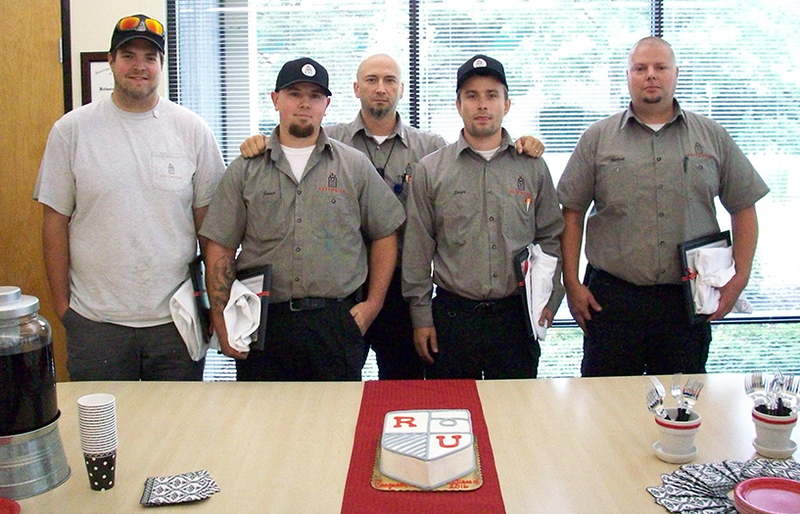 Congrats to our graduates: Manuel, James, Wyatt, and Sergey – and a big thanks to Reitmeier University instructor Adam Tucker!